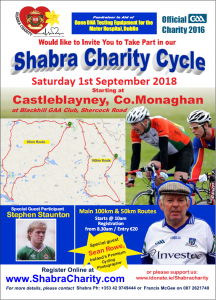 Shabra Charity Cycle will take place on Saturday 1st of September 2018, with two different routes for cyclists to choose from. We have a 50km and a 100km cycle route for all our keen cyclists. This event will be kicking off at 10am on the morning of the 1st and the Registration Desk will be open from 8.30am at Blackhill GAA Football Club, Co. Monaghan. Early registration is also available now, follow the Register Now link. Entry €20. 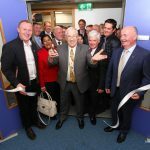 Shabra Charity Foundation is a fully registered charity in Ireland was co-founded by Rita Shah and the late Oliver Brady .